One of the key strategies for every prepper is the formation of a prepper community. Yet, as strategic as this may be, it is conceivably the most difficult of all of the prepper strategies. There are issues, not the least of which is who do you trust, how much do you trust, and what are the limits that you place upon that trust? Sadly, there are no easy answers. That said, as I wrote in 10 Simple Strategies for Becoming A Prepper, this is something that needs to be addressed by each of us and the sooner the better. Regardless of where you live or your family situation, become a community with others. Even if your community consists of only two or three persons, these few people will serve as your support group and sounding board for the tactical decisions you will make when things get tough. In addition, you need at least one other person to watch your back as you will watch theirs. While I do not have all the answers, I do have some suggestions that you can use as you begin to explore the concept of a a prepper community. 2 Why This and Why Now? There are all sorts of reasons for coming together with others. Forming a community can be as simple as sharing a garden plot with all of its inherent chores, plus, of course, a share of the bounty. On the other hand, it can be as complex as the formation of a communal safe haven, where many families come together to live in close proximity, sharing work, food, supplies, defense and more. It would be easy to simply say that you want able bodied people to carry out post-SHTF chores, plus, perhaps, a doctor or a nurse to take care of healthcare needs. The reality is that your requirements will likely be a lot different than that. You may need property to grow food, or may simply need to associate with individuals who have extensive knowledge of farming, animal husbandry, butchering, herbal medicine, or a whole myriad of other skills. The requirements for membership can be as extensive or as limited as you choose, but they do need to be defined, if only in pencil to start. In any society there are strong leaders and there are faithful followers. Who will lead the group and by what mechanism will the leader be chosen? Will there be one leader or many? Who will settle disputes? As with everything else, these are important questions to think through as you bring potential members of your prepper community together. To succeed, you are going to need rules. Who will set the rules and who will police them? Trust me, post SHTF you are not going to want a free for all where each individual is out for himself without regard for the rest of the group. No one really knows if the paper currency we currently use will be worth anything down the road. Likewise, no one really knows whether an EMP or cyber attack will shut down financial systems and render the banking system defunct. That said, all communities have costs that must be allocated among the members. Food, supplies, fuel, firearms, and ammunition require money, at least when first starting out. If it is your vision to share, how do your fairly allocate the burden? How will you assign a “dollar value” to skills? Will they all have equal value? More importantly, should they all have equal value? Keep in mind that I am not suggesting one stance or another, but rather that these are things you should think about and consider as you begin to come together in a prepper community. Why do you want to either form or become a member of a prepper community? This is the time to be open and honest with your own inner feelings. Perhaps you are concerned about defense. Or perhaps you fear a time will come when in spite of your vast world knowledge, age or health considerations will not allow you to manage all of the self-sustaining survival chores on your own. Perhaps you live in an rough urban area and need somewhere to go when and if things get bad. 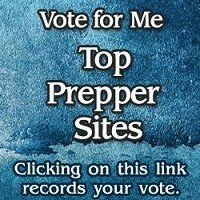 There are as many reasons for wanting to be part of a prepper community as there are readers of this blog. Whatever your reason, have some personal clarity relative to your motive and your goals before you make that first, tentative inquiry. Great question and I am glad you asked. I have been prepping for a number of years now. I have all manner of gear including supplies to stay warm during the cold, cook outdoors when there is no power, and secure clean drinkable water when the tap runs dry. I also have a robust food pantry and an extensive knowledge of essential oils and herbal remedies to help me get by when food and medicine are no longer available at supermarkets and drugstores. Prepping has been my life just long enough for me to not remember what it was like before I turned this corner in my life. During this period, I have felt that a major tipping point was near when in fact, it has not happened yet. Heck, a major and catastrophic tipping point may never happen. Instead, we may simply be lulled into complacency by the slow erosion of our rights, our wealth, and our ability to live our lives in a peaceful manner with food on our table that is free of chemicals and toxins. In my view, the tipping point is manifesting itself as slow changes forced upon us in the most insidious and covert manner, with most of us not realizing what has happened. It is this slow degradation of life as we knew it 10 and 20 years ago that frightens me. It is why I prepare and why I want to be around others who share my feelings on this matter. It is why I want to be part of a prepper community. As there are no easy answers, there is also no “one size fits all” answer either. It is safe to say that every prepper realizes that a self-sufficient lifestyle is hard work. It takes time, energy, and to a great extent, money. Being part of a community can take the burden off of all of these factors and offer many other benefits as well. I don’t want to have my head in the sand and neither should you. I hope that these very real considerations for forming a prepper community resonate with you and that you take the time to think through why you are prepping and what you hope to find in a community. Over the next year, I plan on sharing more think pieces with you. They may not be fun to read but indeed, they are important. At the end of the day, whatever we do and whatever we become, it is the gray matter between our ears that counts. Let us use it to survive. Bargain Bin: Below you will find links to some personal and BDS reader favorites and items from the current Amazon Top 10. Patriots: Surviving the Coming Collapse : Although this is a book of fiction, it is also serves as a survival manual of sorts. The depiction of society three years following a collapse is so very real that I could almost put myself in the same room as the members of the survival group that has banded together to protect each other as they live in a communal retreat. The section on a bartering market was hugely insightful and gave me some idea of how it might work in a real, SHTF situation. Considering when this was written, Patriots is eerily timely. One Second After : For many, the novel "One Second After" was a game changer that convinced them of the need to be prepared. If you have not read this book, you really should. This is my #1 pick when it comes to survival fiction. LifeStraw Personal Water Filter : The LifeStraw is considered the most advanced, compact, ultra light personal water filter available. It contains no chemicals or iodinated resin, no batteries and no moving parts to break or wear out. It weighs only 2oz. making it perfect for the prepper. There is also a larger sized LifeStraw Family currently available with free shipping. Tac Force TF-705BK Tactical Assisted Opening Folding Knife 4.5-Inch Closed : FAVORITE! This is a great knife that is currently priced at about $8.65 with free shipping. Not only that, it is ranked as the #1 best seller at Amazon in both the camping and hunting knives categories. The reviews raved about this knife so I bought one, used it, and and can recommend it. See The Inexpensive Tac-Force Speedster Outdoor Knife. Note: the price can vary by color so if you are not particular, scroll through the colors and save a couple of bucks. Morakniv Craftline Q Allround Fixed Blade Utility Knife : ANOTHER FAVORITE KNIFE! Also known as the Mora 511, this is now my favorite knife. It is made of Swedish steel and is super sharp. Many Backdoor Survival have emailed me indicating this is now their favorite knife too. I paid $12 for this knife; it was worth $12 and of course is a steal at $8.07. FordEx Group 300lm Mini Cree Led Flashlight: FAVORITE! Here we go with another flashlight. At the time of this writing, this one is only $3.80 with free shipping. It is super mini sized, bright and waterproof. Plus, it uses a single, standard AA sized battery. Pictured is one that I own in green but they come in basic black as well as some other colors. Amazon has a feature called Shop Amazon - Most Wished For Items. This is an easy tool for finding products that people are ‘wishing” for and in this way you know what the top products are. All you need to do is select the category from the left hand side of the screen. My opinion only…at the top of the list should be the word ‘TRUST’. I know of people who have a lot of skills, but I wouldn’t trust them even the tiniest bit. There might be people who talk a good talk, but they haven’t done any prepping at all…they have no back up food storage or water. They just want to join a group to find out who does have these things. I’m sure most of us know a couple of these types! I’m not paranoid, but I really don’t want others to come and just take what I have and what I’ve worked hard for! FYI..we are prepared to deal with those types, too!! The focus of this article is not what to look for in individual community or group members. Instead, it has more to do with thinking about your motive and goals as well as the potential ground rules that group members must abide by. I do have an article on trust – and reading body language – almost done. It will post next month. Trust, as you say, is HUGE issue – even among family members. As much as I have enjoyed and benefited from your previous info articles(and I really have), these ‘think pieces’ you have been doing lately are top drawer. Very shortly into my official prepping stage I started yearning for more than just storing supplies. I am near giddy with anticipation for your article on reading body language. For my own mind, I don’t have solid answers for the questions your posed, but you have got me thinking for sure. Thanks for your comment. I just wanted to say that it was appreciated especially since these think pieces do no attract a huge amount of traffic which is something every blogger needs to keep advertisers happy. Still, I am at a place in life when I feel compelled to say, write, and do what I can to help us all grow and become better at this task of preparing for whatever is headed our way. Very good article, and this subject has been at the front of my thoughts of late. We only have 8 people that live here in the winter months. Maybe in a few years, another couple who recently bought the place right behind us, they are ready in a few aspects, but not food, yet. hopefully this summer we can bring them into the fold of things. they trusted us enough to show us what they have. Later, when they have time to spend here, I may show them ours and encourage them to at least have some food items. I can say for certain, I would definately want to be in their camp in a fight. I just recieved my little hand crank flashlight/fire starter. Of course I had to try it immediately. not the brightest flashlight, but in an emergency would work fine. the unit has a bit of a whimpy whistle, but it works. the coil for the firestarter works. the biggest reason for me buying it, you charge it via the hand crank. it will be in my emergency pouch for both boat and car. I bought it from Emergency Essentials for $11.99 and the item #12C1c if anyone is interested. My question to anyone here, I want to start purchasing small quanties of gold/silver but dont know who to trust. I checked out Goldline and they have a minimum order of 2oz in gold, and 50 oz. in silver. I could maybe swing the minimun on the silver but not every month. Years ago my mom bought me the book “Patriots” by James wesley Rawles, will have to dig it out and re-read it. in this book, James talked about saving nickels, not sure why Nickel would be worth anything. easily said,not easy to do, especially when you live in a community of Sheeple. I’ve tried to reach out to family and friends but when we talk about what’s happening in the world today they have the attitude “Not in my back yard” and Nothing’s going to happen,the military/government will protect us, we’ll always have food(in the stores), etc, etc.. Dahubs is s-l-o-w-l-y coming around but it’s tough. I mean it was him remembering how cold it was after almost a week in our old house(in the winter) without electricity and the sump pump failing in the new house a few times that he agreed to have a stand by generator and a battery back up sump installed when we HAD TO replace the furnace (basement flooded when pump failed and ruined the furnace) in the home we’re in now a few years ago. Well we’ve had three or four outages lasting a couple of days or more since then. He’s really glad I insisted on having that standby now. I am working on getting a green house set up for him, He has anklyo, something in his spine and rheumatiod arthritis, so he (and I) can’t garden outside in inclement weather like we used to do, so that is next on my wish list along with the solar and wind turbine I’ve got my eye on and AFTER I get the fence replaced with taller more sturdier fencing than what’s there. Gaye, thank so much for the quality topics, “think” pieces, and recommendations you work so hard to provide us! One thing I have been trying to determine is how I can utilize my 30 acres to attract and build a Prepper community. Right now, it only has one well and septic. It does have great fencing, privacy, and gardening opportunities. Any ideas how I could entice other reliable Preppers to invest in their own well, septic and housing on my land?